We have enthusiastic members on the Boomerang Bags steering group to do the organising. This makes the load fairly light, but we would love to have some more people on board to further lighten the load and to spread the word further. 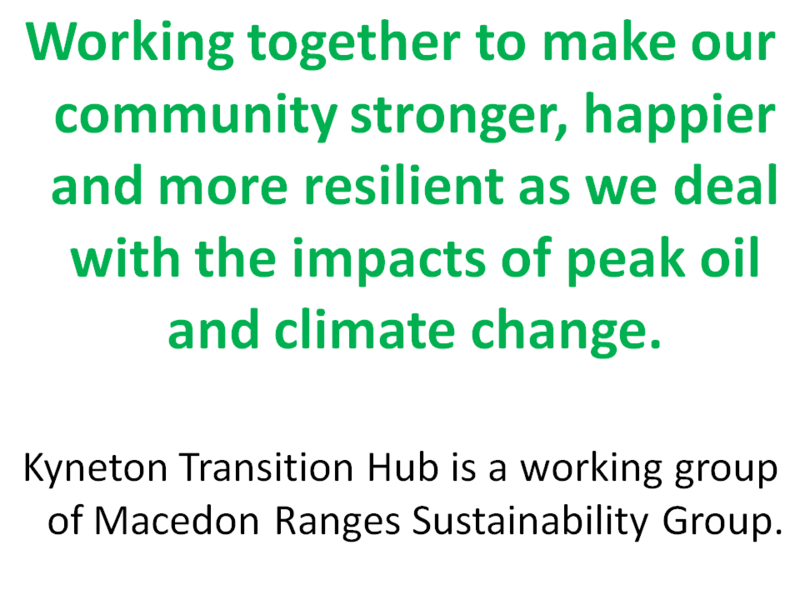 Next meeting of steering group is on Wednesday 29th March at 7 pm at the Kyneton Community & Learning Centre. 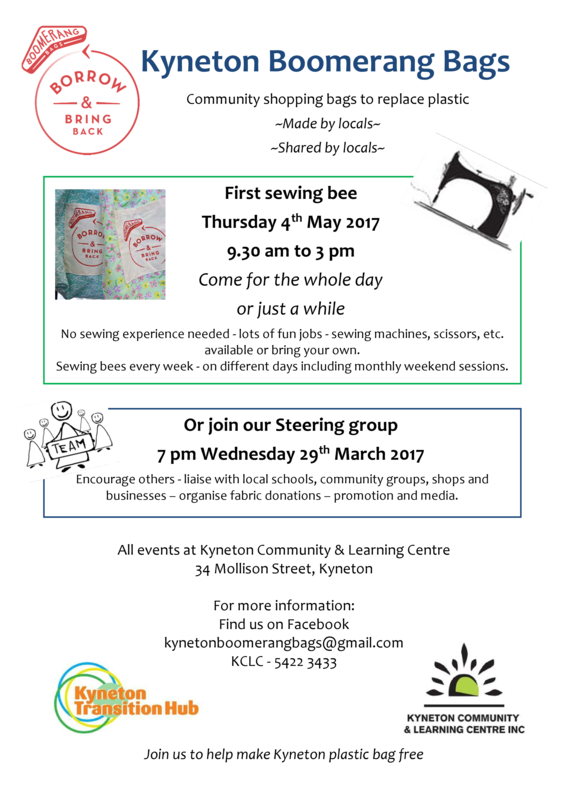 First sewing bee is scheduled for early May to allow us to get past school holidays and get everything organised.